The best way to have law and order within your healthcare team is through the establishment of rules. 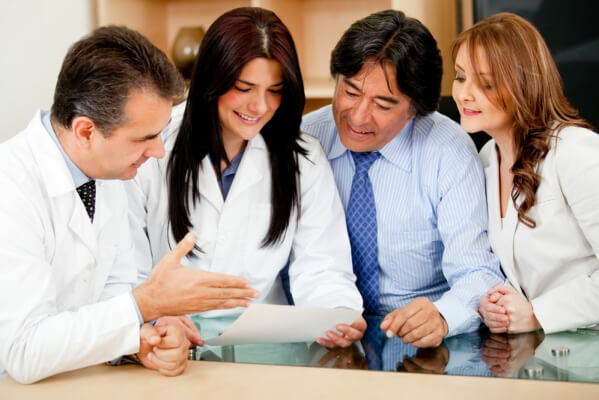 As a Healthcare Provider, every member of your team will have responsibilities to fulfill. These responsibilities should be designated properly and understood by the entire staff. As much as possible, the rules should be clear. These rules should be discussed especially during the orientation of new hires. When a conflict arises, the rules will be the point of reference. Individuals with different personalities and walks of life have found nursing employment in your agency or facility. At a certain point in time, some of these personalities may clash leading to a conflict. When this happens, it is important not to focus on the personalities of the people involved. They are who they are. Instead of personalities, focus on the events that triggered the conflict. Talk about the conflict, not with the entire team but only to the parties involved. Do not drag the others who are not involved in this. Call them to an office or somewhere that you and both parties can discuss the conflict privately. This way, they can retain their dignity while also having the opportunity to defend themselves or their actions without the prying eyes of others. You have engaged Healthcare Staffing in Philadelphia to find professionals who are competent in performing healthcare jobs. You hired them because of their skills, competencies and their dedication to the industry. They keep your operations going, so do not ever take sides. Taking one’s side can lead to hidden hurt which can then result to people leaving your team. Find something that both parties agree on and resolve disagreements. Act on the resolutions immediately and use it as an experience to learn a lesson in managing conflicts. This will enable you to create a plan to prepare for possible future conflicts. ATC Healthcare Services supplies agencies and facilities with various healthcare professionals, helping them continue their operations and provide quality patient care. If you need Medical Staffing in Upper Darby, PA, don’t hesitate to get in touch with us! This entry was posted in Healthcare Staffing and tagged healthcare professionals, Healthcare Provider, Healthcare Team. Bookmark the permalink.